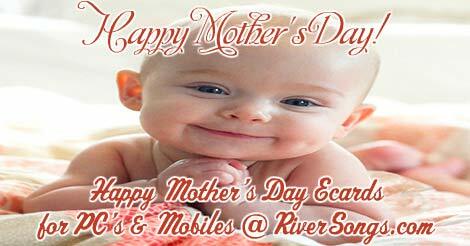 The free Happy Mother's Day ecards are made to share with cell phones, smartphones & computers. This includes iPhone, Android, tablets, iPads & windows phone. 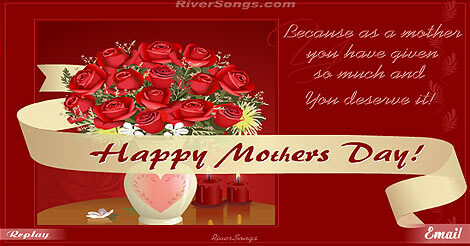 Users seeing mobile Mother's Day cards will typically view a video ecard with music, while computer users will view an animated musical Mother's Day greeting card. 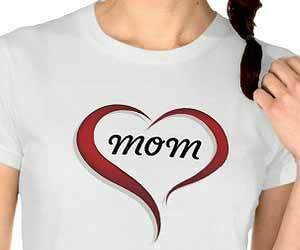 All great mothers are working mothers, their career is pure love. You are a wonderful, patient, caring, loving & amazing mom. Thanks for everything! To the best mother in the world: Happy Mother’s Day! You deserve all the love, care and support that you’ve lovingly given every day of my life. I love you! You are a blessing to many people, but I am especially grateful for the amazing work you have done being my mom. I could bring you flowers, I could give you gifts, but nothing in this world can truly show you how much I love & appreciate you, Happy Mother’s Day! You are the greatest gift from the heavens above mom, filled with love and care for all your children and the entire family. People spend a little more on flowers for Mother's Day than Valentine's Day, but these 2 holidays account for about 40 percent of yearly sales. If you want your children to turn out well, spend twice as much time with them, and half as much money. Abigail Van Buren. Motherhood affords an instant identity. First, through wifehood, you are somebody's wife, then you are somebody's mother. Both give not only identity and activity, but status and stardom of a kind. -Betty Rollin. You may feel free to email up to 5 Happy Mother's Day greetings in a 24 hour period of time, per sending form, should you need to send more free Mother's day cards, or for any other reason, try the alternate envelope icon under the big button of the best Mother's day ecards. 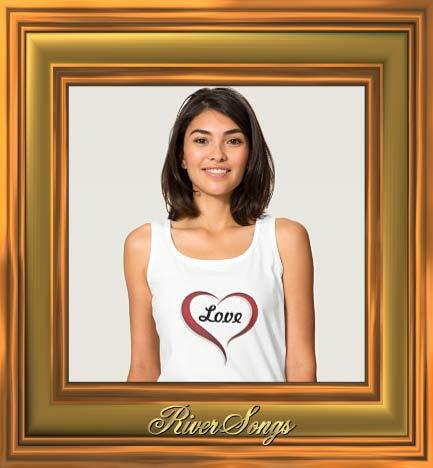 Thank you for using RiverSongs Mother's day greeting cards with Happy Mother's day messages, and best Mother's day wishes to express your personalized thoughts and Mother's Day wishes, we hope you will have a happy Mother's Day!